December 7th, 1941 began like most other Sunday mornings at the Unites States Naval base in Pearl Harbor, on the Hawaiian island of Oahu. Yet the tranquility of dawn spreading across the tropical waters would not last long. 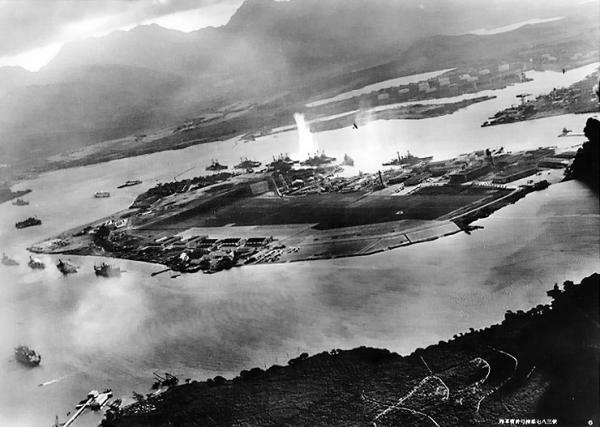 Shortly before 8:00 am, the lagoon harbor experienced the devastation of a surprise attack that saw five battleships sunk, over a dozen other vessels run aground or damaged, 188 airplanes destroyed, and as many as 2,402 Americans killed, with another 1,282 wounded. Yet a list of such Pearl Harbor facts does little justice to the destruction that was meted out that day. One can only imagine what it must have been like to be there. Unquenchable fires raged aboard the stricken American craft that day, a nation was stunned, and the course of history was inexorably altered. The Japanese orchestrated the infamous attack in an attempt to prevent the US Pacific Fleet from obstructing their planned advances into Southeast Asia – yet the opposite effect was achieved. In the wake of the bombing of Pearl Harbor, the United States, outraged by the unexpected attack, declared war on Japan. The resulting conflict would ultimately lead to the Japanese Empire’s defeat at the end of World War Two with the dropping of the A-bombs on Hiroshima and Nagasaki.